Black Violin is composed of classically trained violist and violinist Wil B. and Kev Marcus who combine their classical training and hip-hop influences to create a distinctive multi-genre sound that is often described as “classical boom.” The band released their major label debut Stereotypes (featuring Black Thought of The Roots and MC Pharoahe Monch) on Universal Music which debuted at #1 on the Billboard Classical Crossover Chart and #4 on the Billboard R&B Chart. 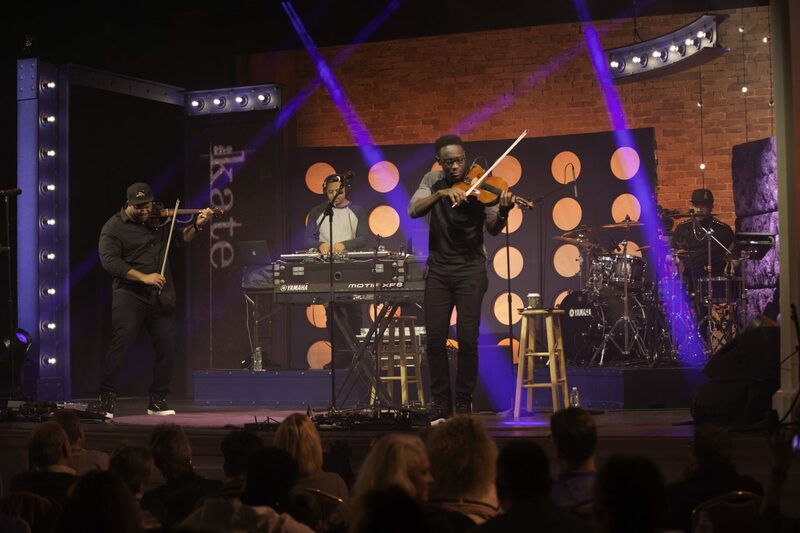 Black Violin has shared stages with top names including Kayne West, Aerosmith and Tom Petty, and has creatively collaborated with the likes of Wu-Tang Clan, Wyclef Jean and Alicia Keys. Wil and Kev place heavy emphasis on educational outreach, and have performed for more than 100,000 students in North America and Europe in the past 12 months, including the featured musical act for the Blue Ribbon Festival at the Music Center in Los Angeles, CA where they performed for 19,000 fifth grade students from the Greater Los Angeles area over a 3 day period. The band is endorsed by Yamaha Music and has partnered with the National Association of Music Manufacturers (NAMM) to continue their advocacy for accessible music education. 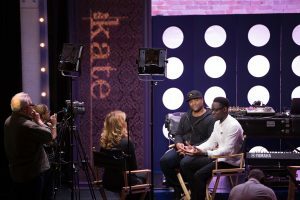 Black Violin’s complete episode begins streaming on thekate.tv and airing nationally on public television Saturday, April 21st at 8PM EST. Go to aptonline.org for local broadcast information.